– assist speakers, musicians, sample-food tents, etc. 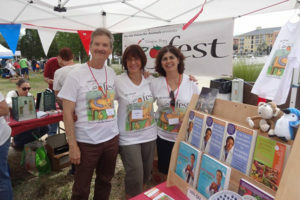 Volunteers are greatly appreciated and will receive a free Veg Fest T-shirt. To volunteer, please click the button below to select a role and contact us at info@tampabayvegfest.org or call 727-656-8368 for any questions. Leave your name and number and what you are interested in and someone will get back with you soon. Volunteers will be needed for two-hour shifts and you can work as many as you would like in different areas. Thank you for getting involved!